Every day, potential customers pass by the brick-and-mortar offices of real estate companies. What if there were a way to capture their attention, show them home inventory, get their contact information, and track which properties are of highest interest to them — before they ever set foot inside a brokerage office? 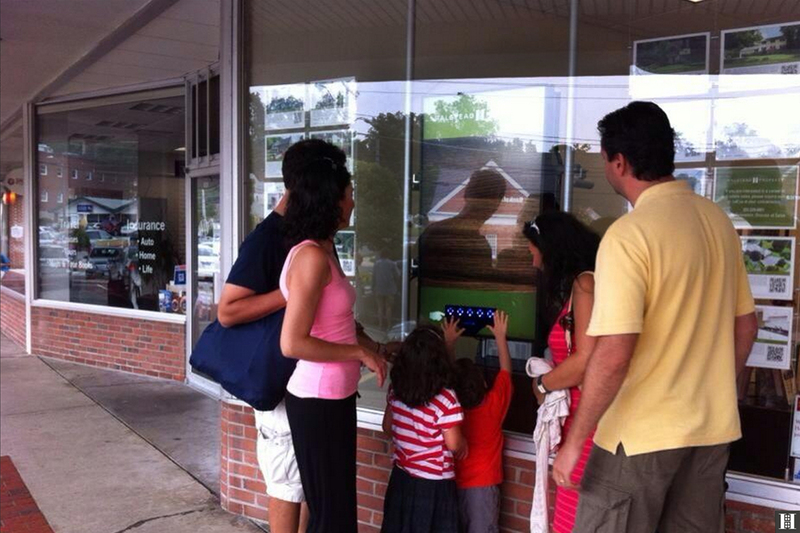 Real estate startup imageSurge has an answer: interactive storefronts. 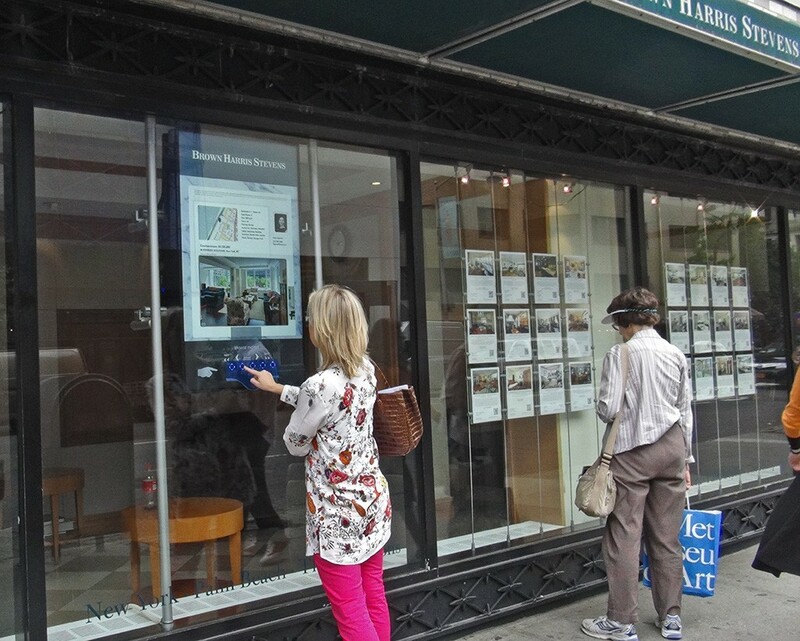 These large, slim window displays allow passersby to explore online real estate listings in real time and at any hour — whether an office is open or closed — with the press of a few buttons. The dynamic displays represent a stark change from the static paper listings often seen hanging inside the storefront windows of real estate offices, according to Ilya Alshine, CEO of imageSurge. “Really the storefront has been underutilized,” Alshine said. For the most part, selling establishments keep their goods inside, he said, meaning the consumer has to make the decision to walk in. “They lose 80 percent of passersby,” he said. ImageSurge, based in the Boston area, launched its interactive storefronts about a year ago and has since deployed a total of 22. The company earned this year’s Inman Innovator Award for “Most Innovative Brokerage or Franchise App, Tool or Vendor” presented in July at the Real Estate Connect conference in San Francisco. Since then, imageSurge has signed deals with four brokerages in the greater Boston area representing more than 1,000 agents combined: Hammond Residential Real Estate (15 offices, 400 agents); Century 21 Commonwealth (17 offices, 392 agents); Prudential Prime Properties (19 offices, 250 agents); and ePlace (one office, 31 agents). 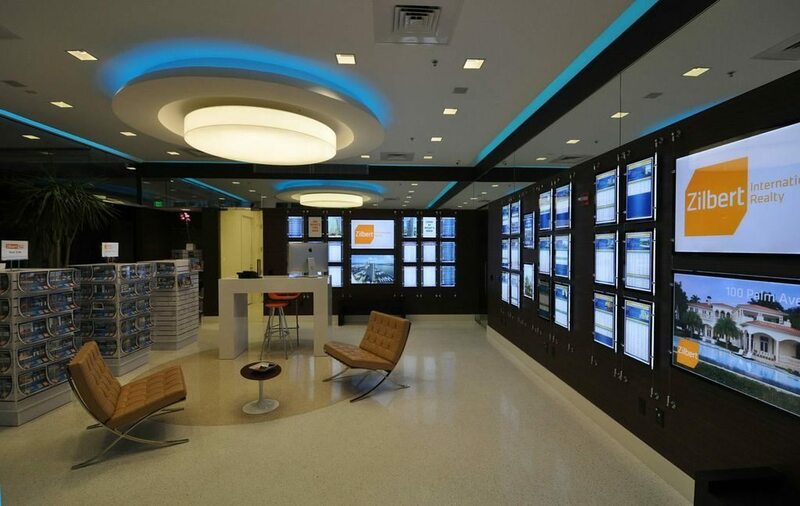 Each brokerage will deploy one interactive storefront at first, imageSurge said. After signing an exclusive deal with prominent New York City-based brokerage Halstead Property earlier this year, imageSurge has rolled out six of its interactive storefronts at some of the brokerage’s offices in Manhattan (Columbus Avenue), Brooklyn, Riverdale and Southampton in New York, and in Stamford and Westport in Connecticut. The brokerage plans to flip the switch on three others in the next week or so. ImageSurge has also deployed interactive storefronts for Halstead sister company Brown Harris Stevens in Manhattan (Madison Avenue) and Southampton and plans to debut another in nearby Bridgehampton soon. Halstead and BHS are both owned by Terra Holdings. The interactive storefronts add “to the uniqueness and credibility and the impressiveness of the brand,” Alshine said. “Our prime (New York) metro-area storefront locations have transformed into 24/7 communication devices for our buyers as well as just another reason to list with Halstead Property for our sellers, providing them with yet another promotional stream for their home,” Leone said. Houlihan Lawrence, another well-known brokerage in the New York area, also recently deployed imageSurge’s interactive storefronts in their Armonk, Larchmont, Scarsdale and White Plains offices. In addition to real estate listings, imageSurge says the storefronts can display videos and virtual tours with “through-window” audio that also allows for better user interactivity through voice instructions. Analytics help brokerages gauge user behavior, including tracking how many people are using the display, which sections and properties they are most interested in, and if they are watching videos. These data points can help the firms tailor the display for better engagement, Alshine said. For instance, analytics show that in New York, usage “goes to almost nil” on Thursdays, he said. “(The brokerages) will decide what they want to do as far as strategy, but it’s an interesting phenomenon,” he said. The storefronts also include a lead capture feature that allows users to enter their cell phone number into a keypad. The startup hopes to eventually add a facial recognition feature that will allow the display to sense when someone is looking at the screen and draw them in with either content or audio. The company also plans to offer a feature that would recognize a user’s gender and age group, thereby allowing firms to serve up content based on demographics, Alshine said. That particular feature may cost firms extra, probably under $50 per month, he said. Currently, imageSurge has two pricing options: $6,995 to purchase the 47-inch display itself and a fixed $225 monthly, per-office maintenance fee; or a $9,995 purchase price and a $125 monthly fee. The monthly fee covers system health monitoring, technical support, and bandwidth — the company stores all of the listing data it displays in the cloud, Alshine said. The company plans to pilot a third-party advertising program in Boston soon as a way to help clients offset the monthly fees. Advertising options would include sponsored screens and sponsored content, among others. “Several Boston (real estate) agencies (Re/Max, First Choice, ePlace) are working on bringing in local sponsors — such as financial institutions — on a revenue-share basis,” said Oleg Vyadro, imageSurge’s chief operating officer. As demand for the interactive storefronts grows and imageSurge’s network of screens along with it, the better the advertising opportunities available, Alshine said. “If we have 500 of those running, we can go to Citibank” and other mortgage companies, attorneys or other firms, he said. ImageSurge will be able to bring those companies to the storefront for the first time, he added. 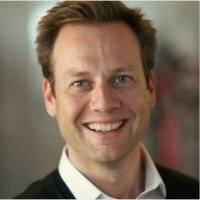 The company is also working on a touch-screen system for lobbies, which Alshine said are a natural extension of storefronts. “Not everybody has a storefront, but everybody has a lobby,” he said. What do you think of these interactive storefronts? Would your clients use one? Let us know in the comments below.